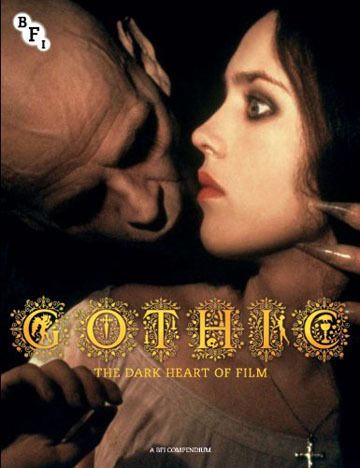 Through a range of lavishly illustrated new essays, written by some of the world's foremost authorities in the field, 'Gothic: The Dark Heart of Film' reveals how the archetypes of Gothic horror and romance have endured, reflecting our deepest fears back at us. It charts the story of how the Gothic found its dark heart in Britain, and came to life on film across the world, from its origins in the silent era, through the Universal horrors of the 1930s, the rise of Hammer in the 1950s, and many other twilight stops on its path to the present. With contributions from Mark Gatiss, Sir Christopher Frayling, Guillermo del Toro, Anne Billson, Jonathan Rigby, Mark Kermode, Roger Luckhurst, Richard T. Kelly, Reece Shearsmith, Matthew Sweet, Ramsey Campbell, Glen Duncan, David Pirie, Marina Warner, Charlie Higson, Roger Clarke, Kim Newman, Victoria Nelson, Helen Oyeyemi and more.